Kosovo has been on the focus of the world economic forum in Davos, Switzerland. On the sidelines of this forum, which saw the participation of leaders from the world, EU and the region, there were discussions about the normalization of relations between Pristina and Belgrade. 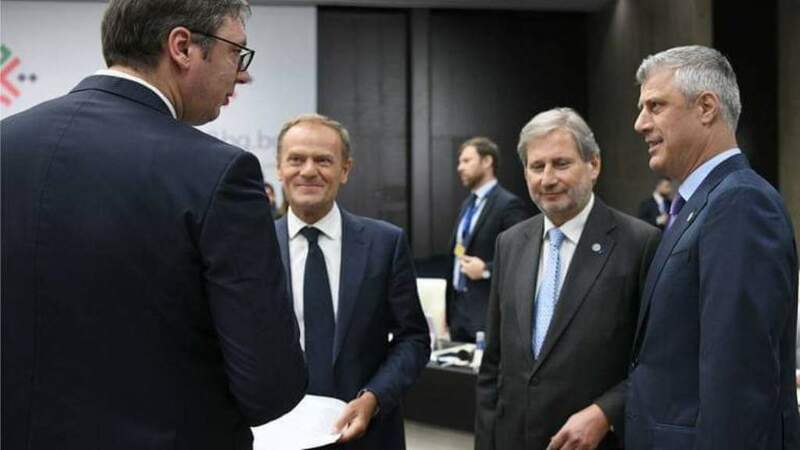 The EU Enlargement Commissioner, Johannes Hahn declared that he has offered a solution on the issue of trade between Belgrade and Pristina and that he’s expecting to receive an answer by the presidents of Kosovo and Serbia. “I suggested them to coordinate their efforts on all trade issues that relate to Serbia and Kosovo. I’m ready to lead these talks and this would be the basis of the continuation of the dialogue assisted by the High Representative, Federica Mogherini”, Hahn said. On his part, Kosovo’s president, Hashim Thaci said that the meeting with Hahn was focused on issues of European integration and the continuation of dialogue between Kosovo and Serbia. The dialogue between Kosovo and Serbia has also been discussed in the meeting with the Serb president, Aleksandar Vucic and German chancellor, Angela Merkel. The Serbian president said that he has promised Merkel that Belgrade will do everything to find compromise with leaders of Kosovo. “I’m not optimistic. I cannot promise that we will be able to make it, but there’s no doubt that we will do everything to find a solution”, he said. Germany was one of the countries which did not agree with the ideas launched by the Serb president Vucic and Kosovo’s president, Hashim Thaci for border changes as the way to normalize ties between the two countries. Such ideas also sparked reactions in Kosovo. In November, Kosovo’s government introduced a decision where it imposed a 100% tax hike on goods coming from Serbia, while this in turn blocked the process of dialogue with Serbia.